It's hard not to smile looking at these gleeful photographic notecards, with black and white images ranging from children at the beach to newlywed couples, joyful dancers to spirited athletes, and lots of people enjoying ice cream. 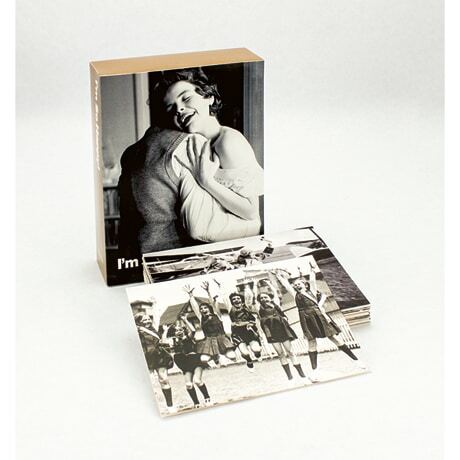 Presented in a handsome slipcased gift box, the assortment features 30 unique subjects from Getty Images. The blank cards measure just over 4½ × 6½ inches, and the set includes 30 off-white envelopes.